There has been a lot of talk about how Batman V Superman is somehow a box office bomb, but it hasn't even been a year since Fox's Fantastic Four reboot reminded us what a true box office bomb actually is. It is one thing to not quite meet very lofty expectations, but it is another to have a huge superhero movie with a huge cast and marketing to barely make back its production budget even with international box office factored in. A lot has been made of the failure that was the Fantastic Four reboot, which was absolutely panned by critics and currently sits at an abysmal 9 percent on Rotten Tomatoes. However, in a recent interview with The Daily Beast, actor Toby Kebbell who played Doctor Doom in the film, claims that a much better version of the film actually exists. Here is what he had to say. "I tell you, the honest truth is [Josh Trank] did cut a great film that you'll never see. That is a shame. A much darker version, and you'll never see it." This isn't the first we have heard of a potentially much better cut of Fantastic Four. The film's director Josh Trank took to Twitter just after the release of the film saying that a year prior to the theatrical release, he'd turned in a "fantastic" version of the film, but we won't ever see it. The Tweet was quickly deleted, but was screen capped and retweeted far too many times to be ignored. Fox was clearly very unhappy with the director's comments, but Kebbell's comments seem to support them. "A year ago I had a fantastic version of this. And it would've received great reviews. You'll probably never see it. That's reality though." Trank was coming off of Chronicle, which was very successful given its modest budget, and that is essentially what got him the Fantastic Four job, which Fox had very big plans for. The production was very troubled, though, and a lot of stories have surfaced about how fiercely Trank and the studio clashed during the process and that ultimately led to the disaster that audiences ended up seeing. Kebbell also discussed some of the very extensive work he put into the character of Doctor Doom, and seemed very frustrated that much of that work never made it into the theatrical cut of the movie. "I played Doom in three points: Walking down a corridor, killing the doctor and getting into the time machine, and lying on the bench. They were the only times I played Doom. Everything else was some other guy, on some other day...Doing some other thing. I was infuriated that he was allowed to limp like that! I missed the press tour for Planet of the Apes because I was lying under rubble, slowly rising out of the ashes to be Doctor Doom. Never made it to the film!" 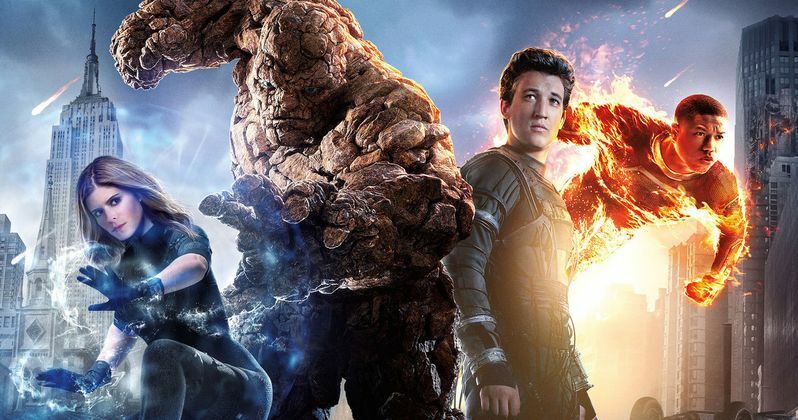 We may never see this alleged "great" cut of Fantastic Four, but it isn't totally impossible to imagine that there is a much better version of a film with a cast that included Michael B. Jordan, Kate Mara, Jamie Bell and Miles Teller. There were hopes that the bomb would lead to Marvel getting the rights to the characters back, but Fox has alluded to the fact that they have plans to continue on with a sequel at some point, even though Jordan has jumped ship and will be starring in Black Panther. Perhaps one day Fox will want to make some more money from the box office bomb and put out a director's cut, but given the bitter separation of Trank and Fox, that seems unlikely. Unfortunately, it sounds like Kebbell may have just been a casualty in a much larger disaster.